Firm delivery dates for next month have been agreed for around 225,000 teu of additional container capacity on the Asia-Europe trades, according to new research by Alphaliner. The consultant said more than half would consist of ships of 12,000 teu and above. It said earlier predictions of as much as 400,000 teu of the 1.4m teu capacity due to be delivered this year being pushed back to 2019 appear to have been “incorrect”. Indeed, Hapag-Lloyd and other carriers are reporting that their ships are “running full”; and the number of containerships in lay-up is now just 80, or 1% of the total global fleet, causing a halt to demolition sales. Nevertheless, the flood of large container vessel deliveries of 10,000 teu and over – around 750,000 teu is stemmed for May-December – will need to be promptly deployed onto the major trades, which Alphaliner said could “exert pressure on the container shipping market”. 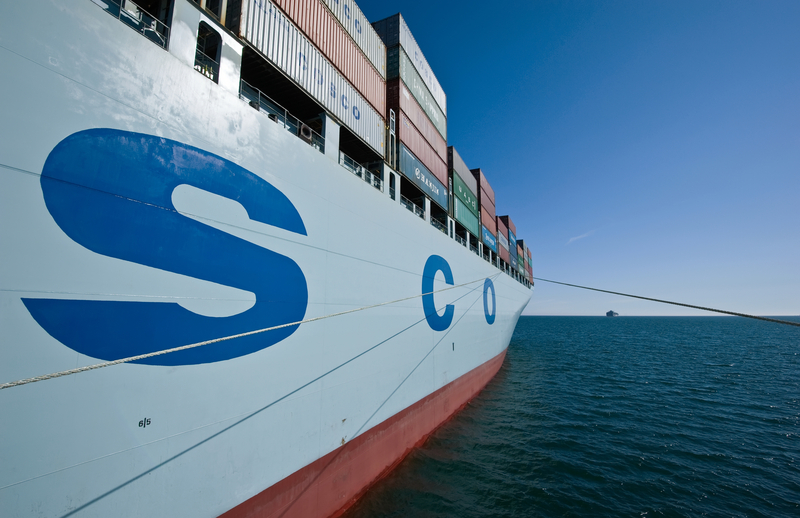 It notes that COSCO’s seven remaining 19,000-21,000 teu ULCVs are stemmed for delivery by the end of October and will be phased into the Ocean Alliance’s NE3 Asia to North Europe loop. The Chinese carrier’s alliance partners, Evergreen and CMA CGM, are expected to receive six and two 20,000-21,000 teu newbuildings this year, respectively, with their final deployment details yet to be confirmed. “These 15 ULCV newbuildings for the Ocean Alliance, plus the last two of Maersk’s 20,500 teu EEE-Mark 11 ships to be delivered shortly, will already add some 346,000 teu to the global fleet before the end of the year,” said Alphaliner. It added that given the low rate of scrapping – 13 ships for 24,700 teu so far this year – it expects the overall fleet growth to exceed 6% this year. Meanwhile, in its latest pre-peak season capacity outlook covering Asia-Europe, SeaIntel expresses some confidence that carriers will be able to adjust any supply-demand imbalance by cancelling just four average-sized sailings over the period. “The Asia-Europe trade is seeing a vast amount of newbuildings, but the carriers have managed to balance Asia-Europe supply to a reasonable degree,” said SeaIntel chief executive Alan Murphy. “The carriers should be able to blank sailings to match a weak demand environment on Asia-Europe over the peak season, while also having enough capacity buffer if demand growth is stronger than expected,” he added.